In about two years’ time, the machine will be back, re-appearing from behind the artfully decorated disk on the left. 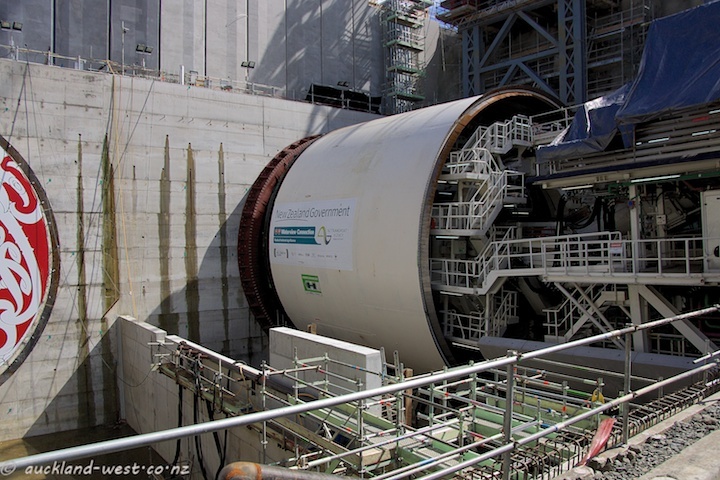 In that time it will have cut a tunnel of 2.5km length, surfacing again at Waterview, turned around and drilled a second tunnel on the way back. 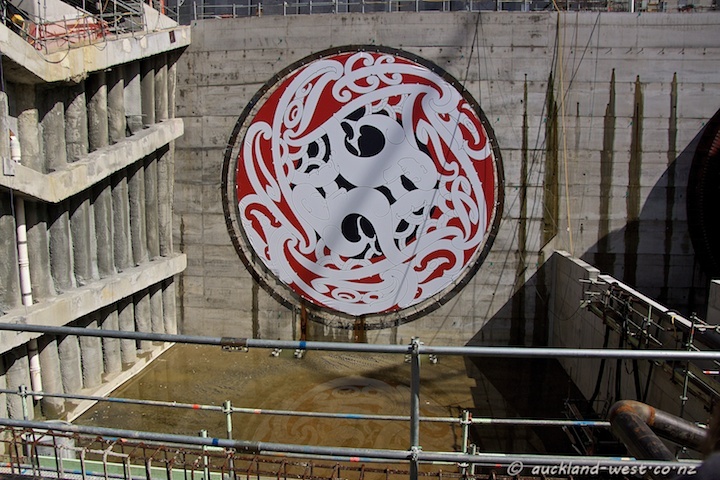 Te Haerenga Hou, meaning New Journey, is the artwork that has been designed for the Waterview Connection project by Auckland artist Graham Tipene. At 14 metres in diameter, it is approximately the same size as the cutting face of the Tunnel Boring Machine. It depicts the journey from the Manukau Harbour along the route of what is now State Highway 20, past the volcanoes of Te Ara Pūeru /Māngere, Te Hōpua (Gloucester Park), Maungakiekie (One Tree Hill) and Puketāpapa (Mt Roskill), to the feet of Ōwairaka (Mt Albert). 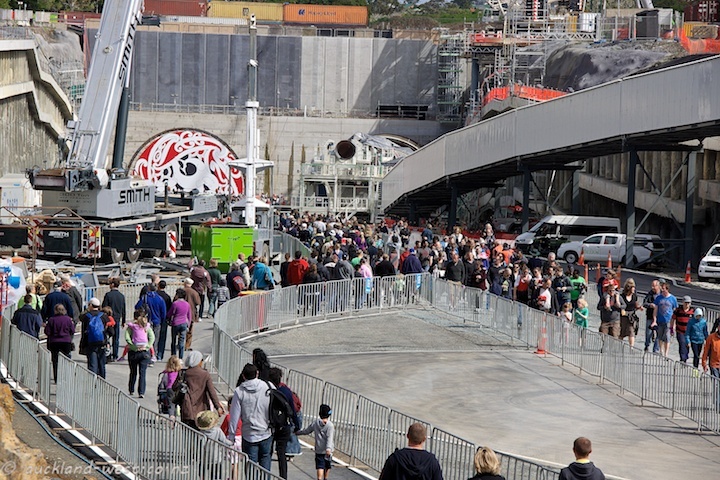 This is where the new tunnels of the Waterview Connection will be built to lead travellers out toward the Waitematā Harbour. The korero (story) of the journey surrounds the lovers Tamaireia and Hinemairangi, the traditions about whom relate to the creation of the many volcanic features around the Auckland region.